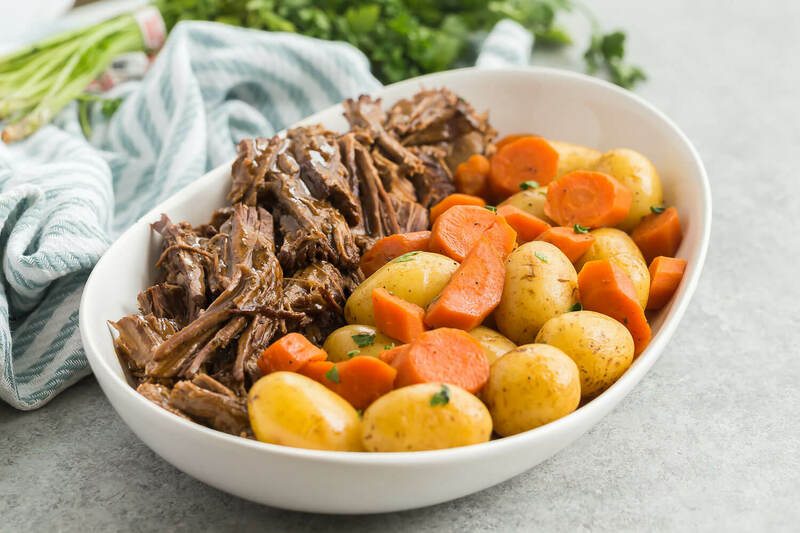 This Instant Pot Pot Roast recipe is an easy, comforting dinner that comes together so quickly in the pressure cooker! With tender veggies, a fall-apart tender roast, and seasoned gravy. Please note that while the cook time is only 58-68 minutes, the total time including the time it takes to build pressure and natural pressure release is roughly 1 hour 40 minutes to 1 hour 50 minutes. 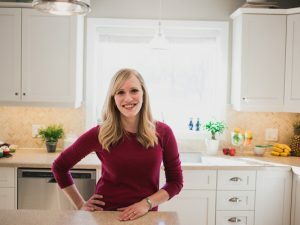 This recipe was tested in a Smart Bluetooth 6 quart Instant Pot. Please take into consideration your model and its requirements before making the recipe. Turn Instant Pot to saute. When it reads "hot", add the oil and sear roast on all sides. To do this, place the roast in the pot and do not move for 2 to 3 minutes. When you flip it, it should release from the pan easily. To the Instant Pot add broth, tomato paste, vinegar and Worcestershire sauce—if there are brown bits stuck to the bottom from the meat, give them a scrape and they should release easily. Stir to combine. Put the lid on and turn the valve to sealing. Select Manual or Pressure Cook and set the cook time for 55 to 65 minutes, depending how large your pieces are (65 minutes to be safe). Add the Little potatoes and carrots, put the lid back on, turn the valve to sealing and select Manual or Pressure Cook for three minutes.